We are available to supply and install piano crates ( cardboard or wood ) as required. Pick up from your residence and delivered to your forwarder. As with all thing mechanical some pianos come to an end of their usefulness. 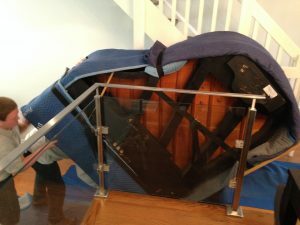 We can safely remove and dispose of your no long required piano. Save your house & your friends the risk and call the professional! 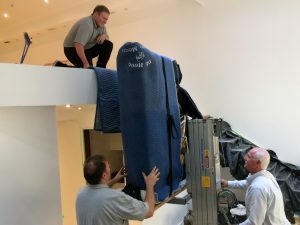 We offer storage in a climate controlled environment whether you are waiting for a new build or would like your piano out of the house for renovations. 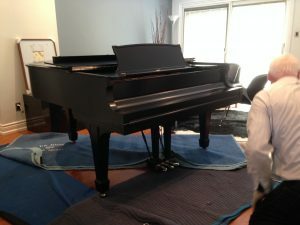 Whether you are taking your piano to cottage country, to the studio, or from the family home to your new one we will provide a quote that is transparent and predictable. 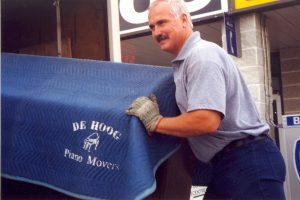 While the general schedule has us daily Hamilton to Barrie , Kitchener to Oshawa, We have provided service Windsor to Ottawa and Niagara to Sudbury to ensure Ontario has available a quality “piano only” moving service. Out of province moves have seen us in New York, Chicago, Montreal, Cleveland.